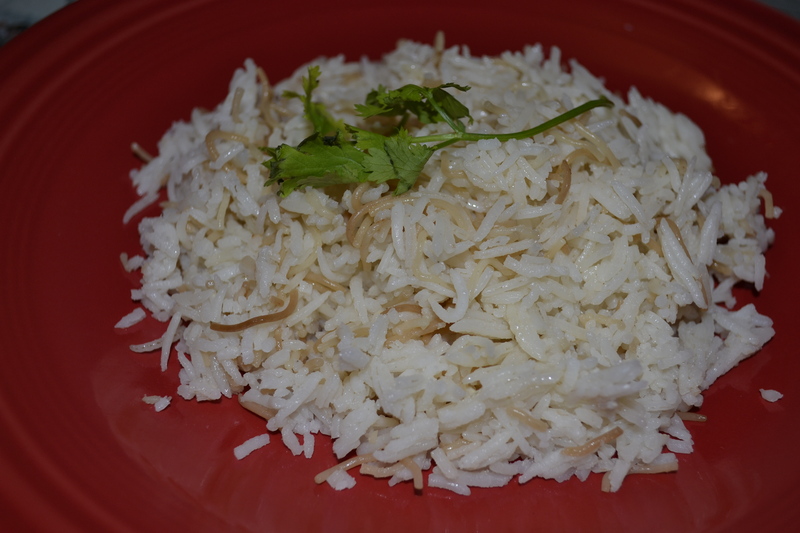 This is a common rice served in the Middle East that is usually served with a saucy dish. I watched my mother in law as well as many friends make it and this is how I make it. 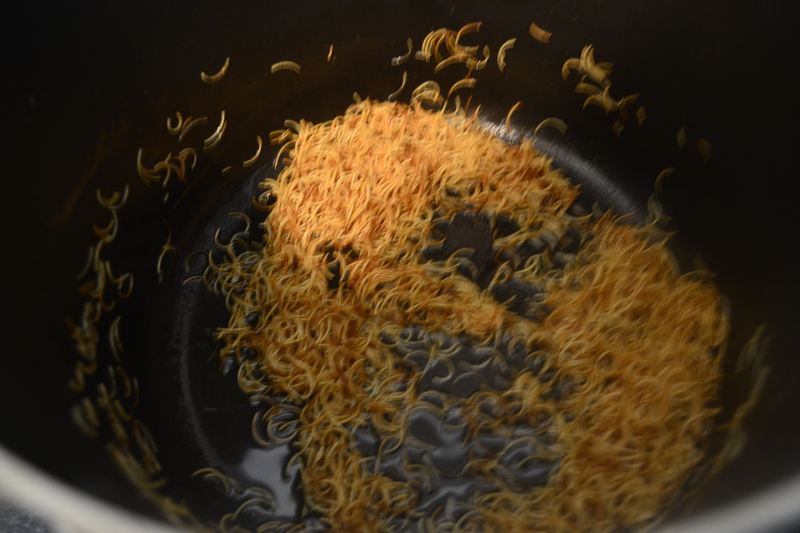 1 cup sharia noodles, small pieces of vermicelli noodles broken up. In Saudi they have little packages of these type of noodles. I found them at an Arabic food store. My mother in law just broke the noodles up herself. 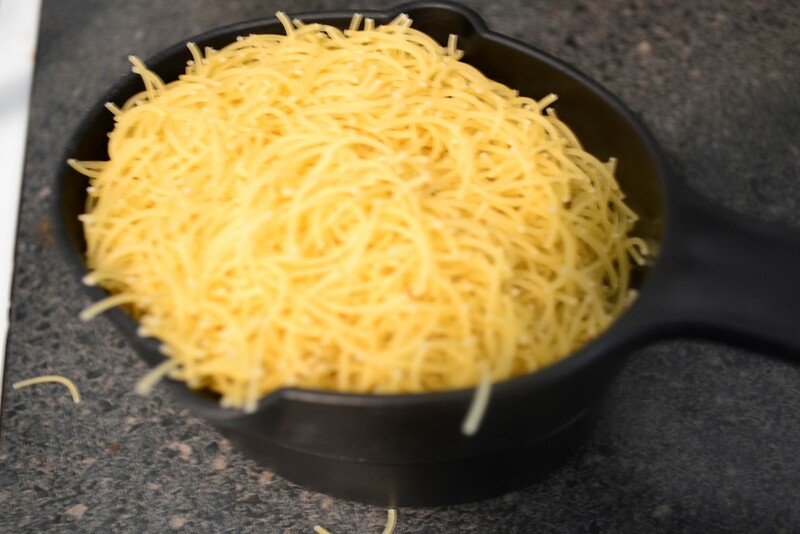 Using a large pan, put olive oil in pan, add noodles. Fry the noodles being careful not to burn. Stir noodles around to brown them. When they are done, add water and salt. Bring to a boil, follow package instructions for preparing rice for cooking. 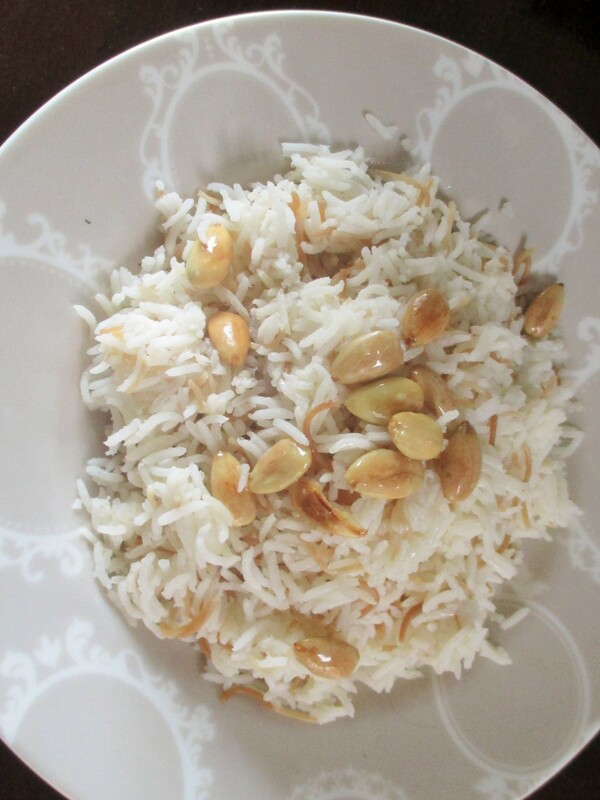 Also, if you are using a rice other than Basmati, follow package instructions for cooking and amount of water. Add rice to boiling water, cook 5 minutes on high, then cover rice and turn to medium, cook 10 minutes, turn to low, cook 10 more minutes until done. Stir rice gently so it does not stick.